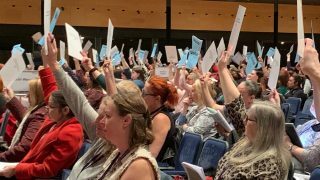 In a packed morning session in Llandudno’s Venue Cymru conference centre, UNISON’s Black members debated a wide range of important motions. 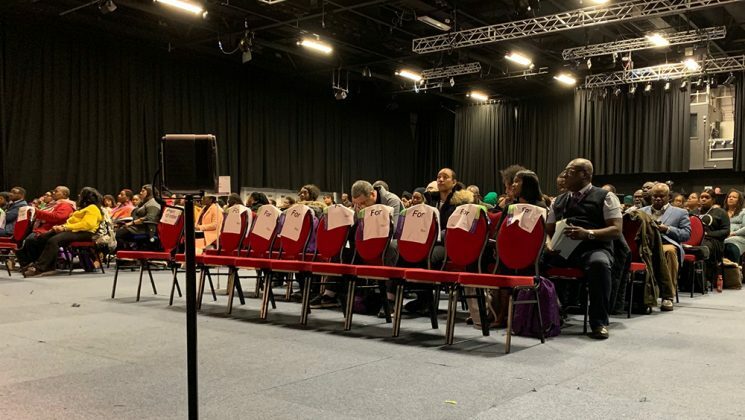 Tanya Igbosi-McGee for the national Black members committee opened a major debate on the Windrush scandal. “It has been a nightmare – it really has,” she said, before listing several planned deportation flights in the future and others that happened ate last year. On each flight, each person being deported has “three guards assigned to them – more, if they feel you’re aggressive”. 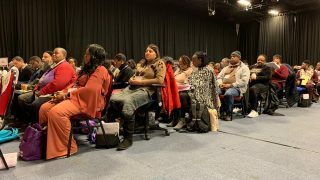 Yet even after apologising for the Windrush scandal, the government’s promised national Windrush day “is not the answer” – and certainly not while the ‘hostile environment’ continues. Delegate Sanchia Alasia (who is also the civic mayor of Barking and Dagenham) spoke movingly about the struggles of a local woman, Sarah O’Connor, to have her right to remain recognised. Ms Alasia eventually presided over her naturalisation ceremony in July 2018 – and attended her funeral in September 2018. Ms O’Connor had been told that she was an illegal immigrant – she had come to the UK when she was six. Unable then to get work or claim benefits, she was forced into a spiral debt and died shortly after her landlord moved to evict her. She was one of the 11 Windrush victims who has died since the scandal broke – “11 too many,” said Ms Alasia. Judy Richards talked of how her brother was in a band as a yong man. When one of the band members died a few years ago, the remaining band members were surprised that his father didn’t attend the son’s funeral. Only when the Windrush scandal broke did people discover that having lived in the UK for years, he had returned to Jamaica for a family funeral – only to be refused re-entry to the UK after that, given just seven days to pack up over three decades of life in this country. Kolo Agola from Greater London introduced a motion examining ill-health retirement and sickness absence polices, and the disproportionate impact of such polices on Black workers. Noting that everyone benefits from a healthy workforce, he said that presenteeism (where workers do not take sick leave because of fear of losing their jobs as a result) was a rising problem for Black workers. 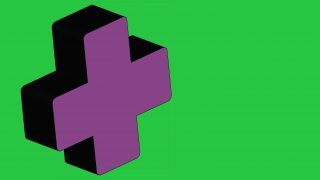 UNISON has a key role to play, he said, in helping employers create “a healthy workplace and supporting, rather than punishing, those with ill health”. 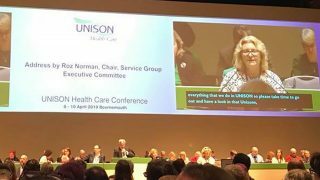 Mitzi Harmon Russell for the national committee said that the committee was planning to survey members to explore levels of presenteeism caused by fear of losing one’s job if taking sick leave. Paul Davis from the national disabled members’ committee highlighted the particular issues faced by disabled workers in terms of disciplinary procedures, while a delegate from the Midlands talked of how they had been stuck, for years, in sickness monitoring because of sickness triggered by a disability – a situation that eventually inspired them to become a UNISON steward. The morning also saw a debate on bargaining and campaigning for race equality. Though it is now over 50 years since The Race Relations Act came into force, “more than ever before, we have to take a stand and stop the systematic discrimination against Black people – and indeed, against all people”. Donald Hanson from the North West relayed how he’d heard people say that, if Black employers wanted promotion, they needed to “talk white; dress white”. 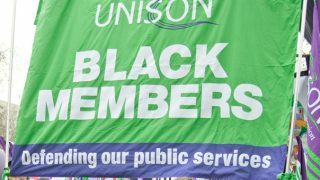 Conference voted to instruct the national committee to seek to review the union’s campaigns with respect to race inequality in the workplace, seeking a response and action to address and implement race inequality as a key campaign, and to report back to next year’s conference. Anu Prashar from the UNISON LGBT group moved a motion on changing the union’s rule book to allow the group to change its name to LGBT+. She explained that culturally, not all people who are gay, for instance, use that term. Putting the ‘plus’ into LGBT also future-proofs the union against “adding more letters” in the future. The rule change will need a two-thirds majority at this year’s national delegate conference.